Amidst graduation and orientation events, it is often a challenge to remain focused on the present. 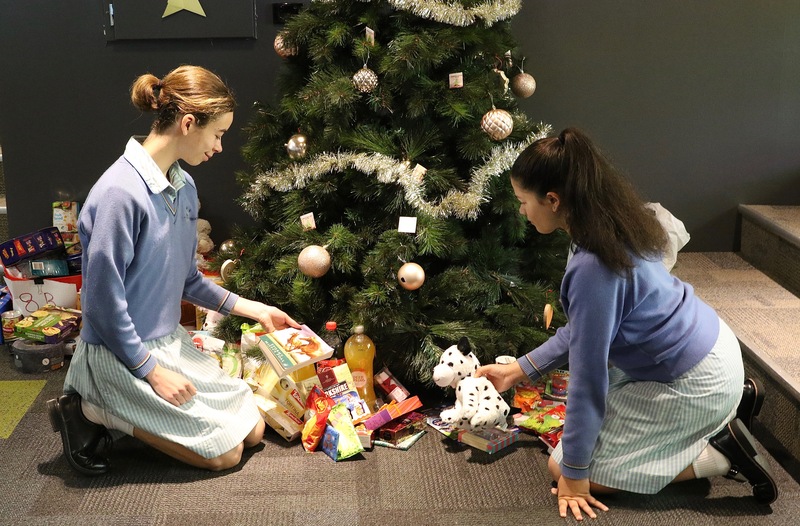 With exams signaling the end of class programs, Christmas Hampers to be filled and arrangements for Co-Curricular Week at the forefront, we can easily find ourselves distracted and inattentive to regular expectations. Over many years of enrolment meetings, I have yet to meet a student who was not looking forward to new friendships in secondary school. These usually emerge over time, but also require patience, respect and ultimately kindness. The pressure of due dates, changing schedules and transition classes however can put some friendships to the test. To make a positive difference in the world is frequently mentioned by students in leadership and like speeches. In the context of a more flexible albeit busy time over the next fortnight, I wonder if we might all benefit from embracing the spirit of the World Kindness Movement, celebrated just recently on 13 November. In many ways, the simple step of being kind is all that is required. As we move towards Christmas, the season of giving, let’s be actively ‘wired for kindness’ across all our everyday interactions, and as quoted by St Benedict “a good word is better than the best gift” Sir 18:17. Our College Motto encourages such a focus… “a succinct guide for future actions”… to be informed, compassionate, creative. May these remain compelling final words to the graduating Class of 2018.